Agreement for ReOpening of Baltimore Clayworks Announced Today For the first time in many months, the news about Baltimore Clayworks is good. 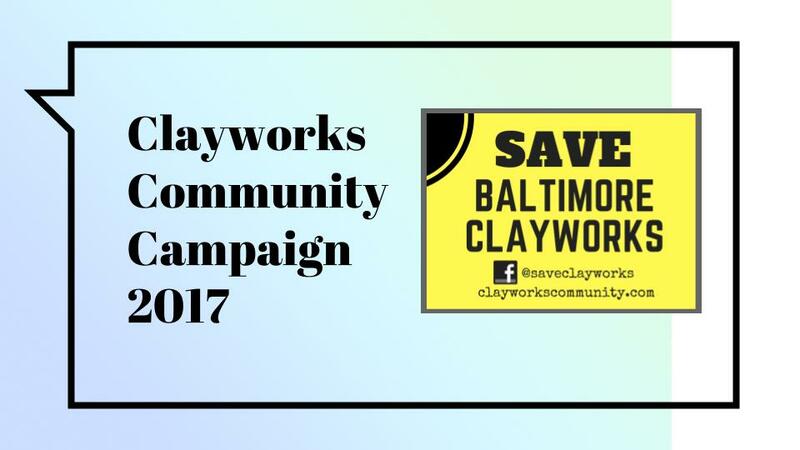 The Clayworks Community LLC has reached an agreement with the Board of Trustees for the continuation of Baltimore Clayworks, Inc. Details will be announced upon the effective date, expected to be early next … Continue reading Good News! Agreement Reached!